Documentary about an attempt at the first complete descent of the Parlung TsangPo in Tibet. Lots of local color and lots of exciting whitewater and 2 bonus videos. Inexpensive also! Join a cast of kayak stars in Africa, Turkey, China, California and Niagara Gorge. Top quality production and global coverage make this a big seller. Besides the great whitewater, there's a heinous snow ski segment included. Quality videography and professional editing make this a fine addition to anyone's collection. Starting with some impressive waterfall carnage, we move from California gorges to the beauty of Columbia, Chile and Argentina. A waterfall fest from the lush forests of B.C. and the Pacific Northwest. A humorous and comprehensive guide to the famous Chattooga watershed and it's relationship with the movie Deliverance. Copious camera angles and editing timed to the music make this (primarily freestyle playboat) video quite watchable. Filmed on the huge water of Uganda, Madagascar, USA, Canada and New Zealand. In 1996, perhaps the most influential kayaking video ever made was published. That video, Fallin Down, defined both the sport and the genre of videos. This DVD compilation includes the classics Fallin Down, and Wet Ones. The second compilation DVD includes the third through fifth videos of the series, Over The Edge, Freshwater, and Freeflow. 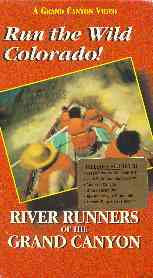 Between the two volumes, most of the top kayakers of yesterday and today are shown. Names like Corran Addison, Tao Berman, Shannon Carroll and so many more were first exposed here. This music video features Canadian rivers and creeks. Videography & editing is high quality as is the whitewater. Big drops, complicated rapids, and gorgeous scenery, and lots of adrenaline make this a great video to watch with the buds the night before a paddling trip. Here's a fun video featuring the young paddling stars of Team Jackson. Follow them as they paddle Newfoundland, the huge water of Quebec, and especially Niagara Gorge. They aren't shy about showing off their own carnage also. Pleasing to the eye & inspirational for kids, too. This artistically mixed destination video takes the viewer to almost inaccessible canyons in Columbia, Brazil & Mexico. Local color and Brazilian belly boating are some of the unusual highlights of this video. Exciting video from deep narrow gorges in Mexico, Columbia, Costa Rica & India. Stunning rainforest footage from inescapable cliff lined creeks. Download a trailer video here. Expeditions to some of the most remote places in the world: Deep in the jungle of Brazil, the Twang region of India, and first descents in Newfoundland. Made for Outside TV, this piece documents the second, and more successful, attempt to paddle the Tsangpo Gorge by an expedition made up of seven world class paddlers. The Tsangpo is indisputably one of the most difficult rivers in the world. Disaster strikes Hendri Coetzee as he leads Ben Stookesbury & Chris Korbulic on what should have been a 1000 mile descent into the Congo Basin. This scenic music video covers creeks and rivers in the Northwest with some impressive waterfalls. This video documents the first complete descent of an awesome 4 day run in Canada that is in danger of impoundment by a hydro power project. Playboating on the White Nile, NC surf kayaking, Oregon and steep creeks in South America. Perfect video for friends and suds the night before a boating trip! Big drops, big air, and thumpin music are the hallmark of this adrenaline video. Spencer's latest whitewater adventure with appearances from the undead! This Banff 2007 Finalist has spectacular footage from sea kayaking in the Pacific Northwest. A humorous expose of the demon that causes river carnage. Also includes a full guide to Tallulah Gorge and Little River Canyon. Includes NPFF Best of Show, Tales of the Paddlesnake. Directed by Tao Berman and edited by Eric Link, producer of the TWITCH series, Pulse looks pretty TWITCHy, but has Tao's sense of humor running through three chapters on the disc: (1) the "BZ Beatdown" chapter, where Erik, Josh, and Tao compete to see who can tough it out the longest in an inescapable hole. (2) the "Alpine Falls" chapter, where Josh and Tao ski and mountain bike down Alpine Falls. (3) the "The Bet" chapter at the end of the video, which is classic Tao. In between those chapters is top notch whitewater, some shot by TV crews, paddled by some of the world's best kayakers. This masterpiece is about those who have run the Grand Canyon. Footage from the early 1900s, the first kayak run in 1941, Georgie White, Barry Goldwater, and Sheena Queen of the Jungle make this a rich and meaty video. This award winner describes why paddlers paddle through the eyes of William Nealy, Katie & B.J. Johnson, T.R. Yon, and Dunbar Hardy. This double feature includes Source, a destination kayaking adventure to Vietnam & the high Sierras. The other feature is State of the Art, a music video showcasing young kayak athletes to bumpin' music. A documentary film, winner of the Wild & Scenic Film Festival, paddlers travel to Uganda, India, Nepal and California to explore the struggles of local communitiesdealing with large scale hydro electric projects. All of these rivers will be dried up by dams soon. 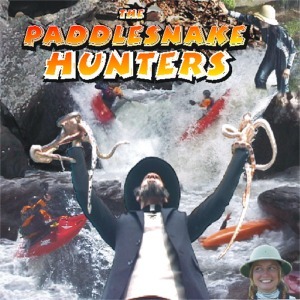 The intrepid paddlesnake hunters are back in the third installment of the series with the best carnage and excellent excuses as they tour various rivers in the SouthEast and New York. Excellent eye candy from New Zealand, British Columbia, Mexico, Colorado & California. The first sea kayak action video. The beginning of a new genre. Huge sea kayak enders in surf, close encounters with whales, manatees, icebergs, and brown bears, as well as surfing, great scenery, and even some carnage. 90 minutes of sea kayaking action including a 6 month circumnavigation of Japan, stunning scenery on the Loftan Islands in Norway, icebergs and whales in NewFoundland, underwater rolling and vertical kayaks in North Wales. Over 2 hours of sea kayak action - Antarctica, Scottish Tidal Races, Paul Caffyn, Greenland style rolling, Shetland, New Zealand Beach Surf, and even a sea kayak cartwheel! The verdant foliage of the Pacific Northwest and Mexico are the sites for this waterfall festival music video. 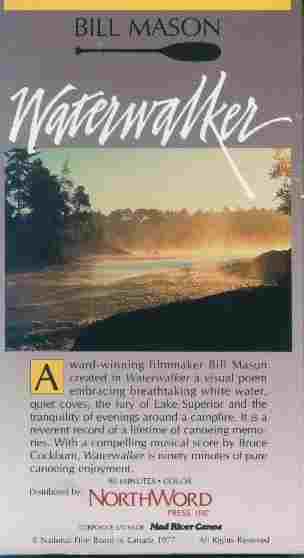 The film quality is excellent and Mosier Falls is heinous! Lady paddlers are featured in one segment also. Wake boating, huge waterfalls & Tao Berman... This latest in the Twitch series is as awesome as the rest. Can't go wrong with a Twitch video! A visual poem embracing breathtaking whitewater, quiet coves, the fury of Lake Superior and the tranquility of evenings around a campfire. Bill Mason and his red canoe are virtually national heroes of Canada. Profiles with interviews and lots of paddling of six of the world's top kayakers - Steve Fisher, Nikki Kelly, Andrew Holcombe, Bryan Kirk, Tanya Shuman, & Jimmy Blakeney. A very well done and interesting video.